Police are appealing for help in tracing a stolen motorbike. The red-colour Peugeot Kisbee, with registration number SW18 ENY, was taken from Stafford Street in Aberdeen. The theft occurred sometime between 10.20pm last night and 6am this morning. Anyone with info is asked to contact police on 101 using ref. no. CF0088960419. A man has been taken to hospital after a crash on a major north-east road. A local woman has won a Triumph motorbike after entering a prize draw in support of an addiction recovery charity. A veteran, who almost lost a leg in a horrific accident, is raising funds for the organisation which is helping him to achieve his dream of getting back on a motorbike. A police biker was taken to hospital after colliding with a truck at a busy Aberdeen roundabout. A busy Aberdeen roundabout has been blocked after a collision between a police motorbike and a lorry. A motorcyclist who lost his leg and almost died in a horrific crash was told he was “not ill enough” to warrant a hospital visit to set up the benefits payments needed for him to return home. Police have issued an appeal for information after a "serious" crash involving a motorbike and three cars on a north-east road tonight. A north-east road has been closed following a crash between a motorbike and car. A male motorcyclist has fallen of his bike following a collision on an Aberdeen road this morning. A 37-year-old male motorcyclist has died following a two-vehicle crash on the B9015 Garmouth to Mosstodloch road, a short distance from Garmouth. One of the world’s finest motorbike endurance trials drew to a close in Fort William at the weekend after days of adventure in the rugged Scottish landscape. Nearly 50 vehicles have been seized by police and dozens of people charged in a summer crackdown on antisocial behaviour in Aberdeen. An Aberdeen man led police on a chase through gardens after being caught sitting on a motorcycle he had stolen. A motorcyclist has died in hospital after a crash on the A82. A person has died after a crash between a motorbike and a truck this evening. Ducati is celebrating the final chapter of its two-cylinder Superbike engine. A motorbike and a Land Rover were involved in a horrific crash on a busy Highland road yesterday. 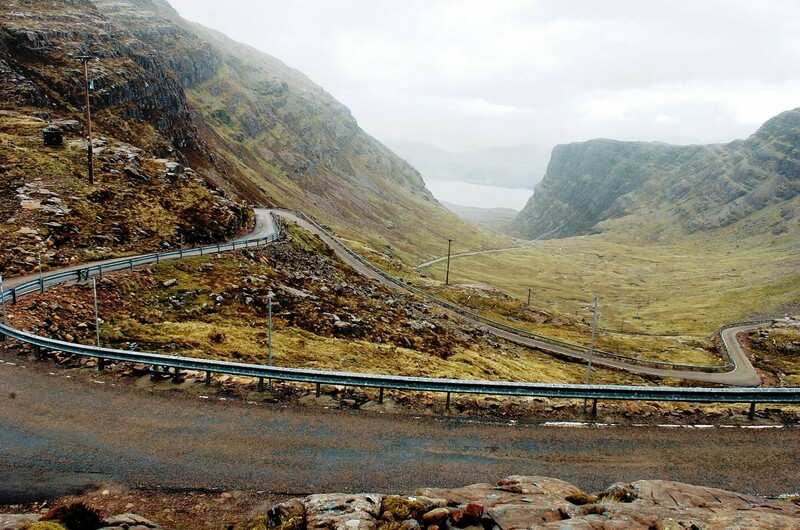 There are many ways you can enjoy the 500-mile route that is the NC500. A woman has been arrested, following the theft of a motorbike in a Moray village. Police clocked a biker racing along a notorious Highland road at the speed a jet aircraft reaches on take-off. Police have appealed for information after two motorbikes were stolen from a secure shed in Aberdeenshire. The theft from the Bellwood area of Aboyne happened sometime between 10pm on Monday and 6.30am yesterday. A motorcycle was stolen from a home in Aberdeen in the early hours of this morning. A 20-year-old motorcyclist was sent to hospital yesterday evening after a crash in Inverness. A couple who fled to Scotland to marry 60 years ago have accidentally bought back the motorbike they eloped on - which still had their love note in the engine. Triumph’s latest T120 Bonneville has been spruced up to provide a 60s styled bike called the Thruxton R in the true style of a Cafe racer. One man is gearing up to hit the highways of the USA to help get addicts on the road to recovery. First introduced in 2012 with 700cc, the NC700X was Honda’s affordable, practical motorcycle for beginners. The biking world has gotten itself caught up in the retro-styled bike scene. Motorcycles have everything these days. Endless electronic aids, stupendous horse power figures, plush comfort. We can even go online while we’re riding our bikes. But, sometimes, less is more. Once you’ve laughed off all those jokes about three-wheelers, the Peugeot Metropolis RS 4001 makes an awful lot of sense, especially for city riding. Suzuki has announced new special editions for its GSX-S1000/A and GSX-S1000FA models, which will come with a host of Yoshimura components and a new graphics kit, as well as a selection of specially picked genuine accessories.